Does your child love to sing? Dance? Act? In this full day musical theatre camp, kids will enjoy participating in fun and play-based activities that foster skills in character development, movement, body awareness and singing. With half of each day focused on creating props for a final day showcase, campers will find themselves fully immersed in the magic of live theatre! Creative expression, easy improvisation, and the wonders of imaginative storytelling are emphasized. 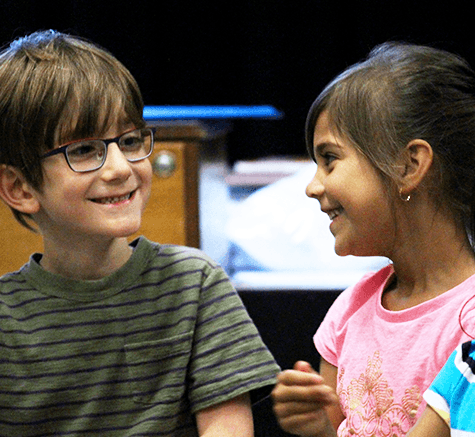 Theatre supports kids’ confidence, teamwork, inclusion, and respect for others. Lunch supervision is included. This camp will give campers a chance to learn more about debate and public speaking techniques in a fun and casual setting.